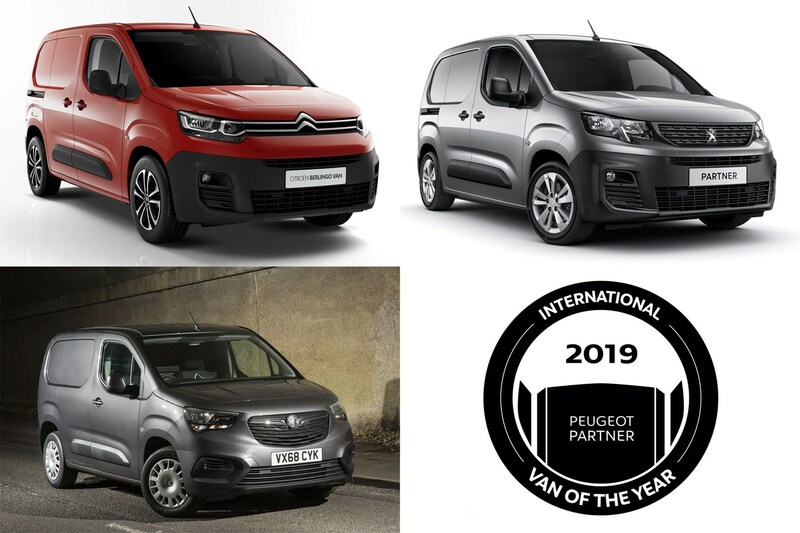 A brand new trio of closely-related small vans from Citroen, Peugeot and Vauxhall has been voted International Van of the Year 2019. The prestigious prize, which is judged by a panel of 25 European light commercial vehicle (LCV) journalists and editors, saw the new Citroen Berlingo, Peugeot Partner and Vauxhall Combo – which are all variants of the same basic van – come top ahead of the latest Mercedes-Benz Sprinter. The 2019 IVOTY award was announced at the 2018 IAA Commercial Vehicles show. Why did these vans win IVOTY 2019? The new Pomlingo – as in Partner-Combo-Berlingo; not an officially recognised designation – collective was praised for its comfort and impressive array of on-board technology, which not only includes innovative safety kit but a world-first overload indicator as well. The judges also recognised that the load area is bigger than that of the previous-generation Berlingo and Partner – although awkwardly, the previous Vauxhall Combo was based on the Fiat Doblo Cargo, and actually had a slightly larger load area. Vauxhall – and its European sister brand Opel – became part of the PSA Peugeot-Citroen family when the French firm bought them in 2017. Was the 2019 IVOTY a close competition? It doesn’t seem like it. According to Vauxhall, the PSA products were awarded 127 points, while the second-place Sprinter received 92. When are the winners on sale? The Citroen Berlingo, Peugeot Partner and Vauxhall Combo made their public debut at the 2018 IAA Commercial Vehicles show in Hannover, and are available to order now. The first examples should start arriving in UK dealers before the end of the year, and we’ll be reviewing all three versions on Parkers Vans and Pickups in October 2018.